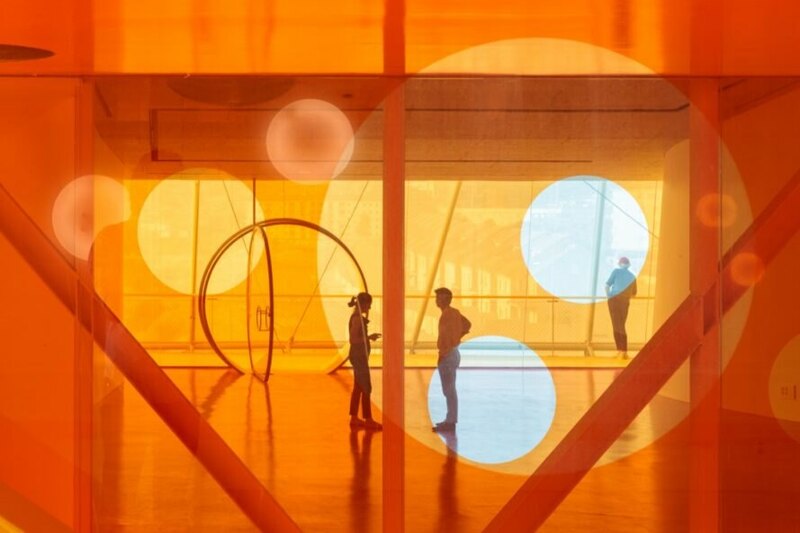 Spanish design firm SelgasCano has completed the surreal Plasencia conference center and auditorium in Spain. 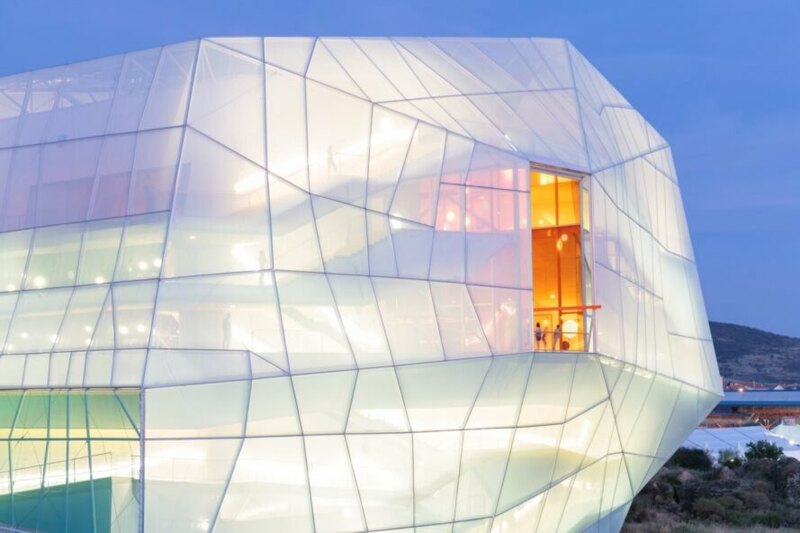 Shaped like a giant boulder, the multifaceted building is wrapped in a translucent skin of ETFE panels that floods the interior with natural light during the day and glows like a lantern when illuminated from within at night. 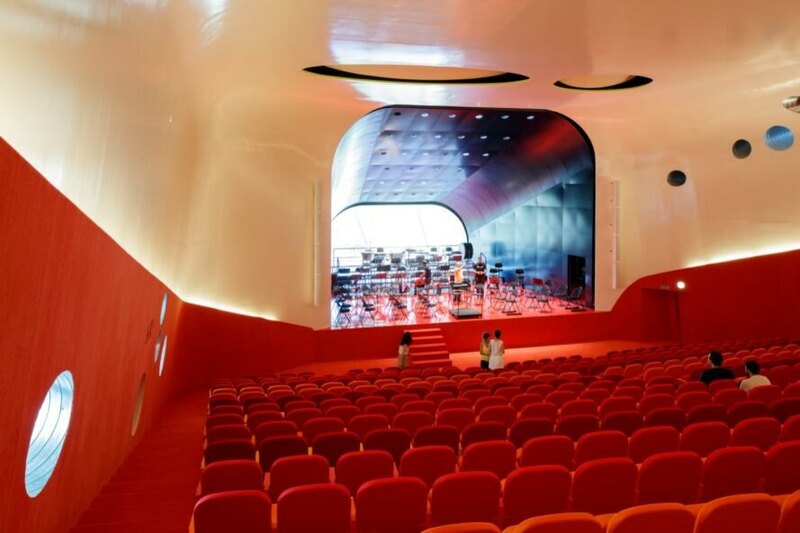 In contrast to its pale exterior, the interior is dominated with vibrant colors — from a bright orange entry hall to a deep red auditorium — that heighten the structure’s ethereal feel. 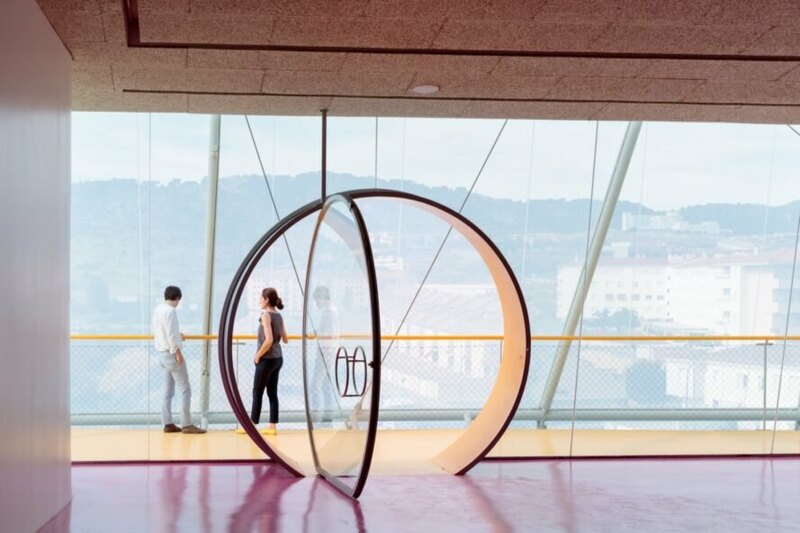 Evocative of a futuristic spaceship, SelgasCano’s design of the Plasencia conference center and auditorium was selected in a 2005 competition. However, financing issues severely delayed the project’s completion to 2017. Now in operation, the building spans 7,500 square meters and includes an entrance lobby, a flexible 300-person secondary hall that can be split into three 100-person halls, the exhibition halls and the restaurant area. Set on a steep hillside straddling the border between urban development and the rural landscape, the conference center and auditorium was also designed to sit lightly on the land. Rather than fill in the site, the architects created a cantilevered shape to hover over the rocky terrain. They placed the entrance at the roadway, located 17 meters above the terrain, while inserting ramps and stairs that descend down to the various rooms. 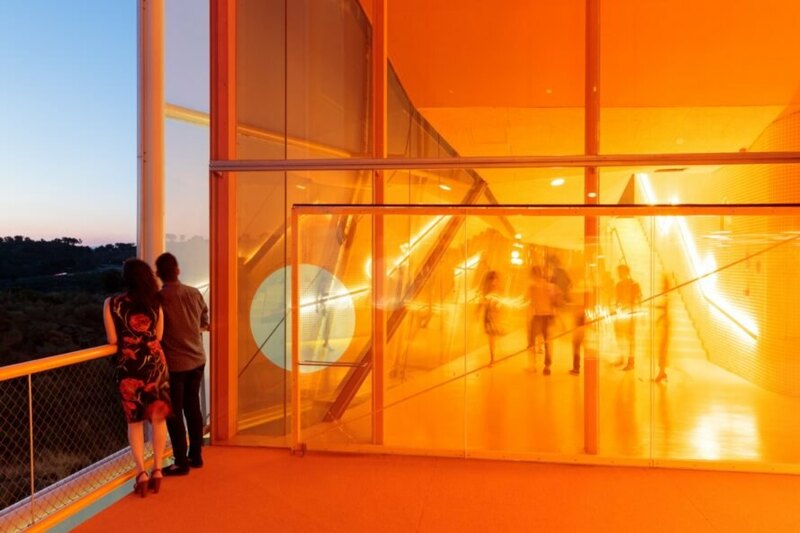 This conference center in Spain was designed by SelgasCano. 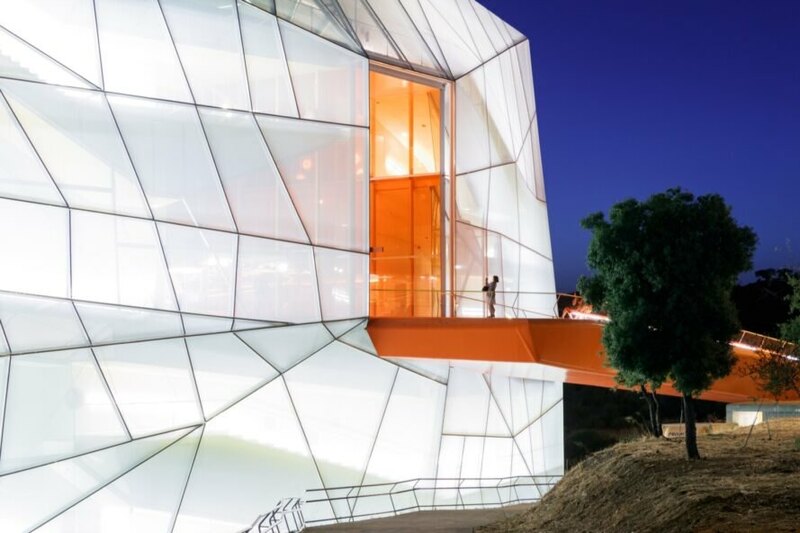 The futuristic exterior is comprised of ETFE panels. A closer look at the ETFE panels. Transparent walls are found throughout. The building exudes an ethereal feel. A 300-person auditorium can also be separated into three 100-person halls. A bright orange entryway welcomes guests. The structure is designed to leave a minimal site impact.